The National Visa Center at Portsmouth, New Hampshire has registered and notified the winners of the DV-2001 diversity lottery. The diversity lottery was conducted under the terms of Section 203(c) of the Immigration and Nationality Act and makes available *50,000 permanent resident visas annually to persons from countries with low rates of immigration to the United States. Approximately 90,000 applicants have been registered and notified and may now make an application for an immigrant visa. 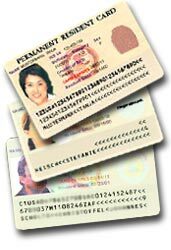 Since it is likely that some of the first *50,000 persons registered will not pursue their cases to visa issuance, this larger figure should insure that all DV-2001 numbers will be used during fiscal year 2001 (October 1, 2000 until September 30, 2001). Applicants registered for the DV-2001 program were selected at random from the approximately 11 million qualified entries received during the one-month application period that ran from noon on October 4, 1999 through noon on November 3, 1999. An additional 2 million applications received inside and outside of the mail-in period were disqualified for failing to properly follow directions. The visas have been apportioned among six geographic regions with a maximum of seven percent available to persons born in any single country. During the visa interview, principal applicants must provide proof of a high school education or its equivalent, or show two years of work experience in an occupation that requires at least two years of training or experience within the past five years. Those selected will need to act on their immigrant visa applications quickly. Applicants should follow the instructions in their notification letter and must fully complete the information requested. Registrants living legally in the United States who wish to apply for adjustment of their status must contact the Immigration and Naturalization Service for information on the requirements and procedures. Once the total *50,000 visa numbers have been used, the program for fiscal year 2001 will end. Selected applicants who do not receive visas by September 30, 2001 will derive no further benefit from their DV-2001 registration. Similarly, spouses and children accompanying or following to join DV-2001 principal applicants are only entitled to derivative diversity visa status until September 30, 2001. Only participants in the DV-2001 program who were selected for further processing have been notified. Those who have not received notification were not selected. * 5029 Ukrainians were notified by the U.S. National Visa Center, placing Ukraine in 3rd position among the qualifying countries. About 57%, or approximately 2,900 Ukrainians are expected to meet the criteria for the Green Card after the interview process is completed. Of all countries included in the drawing, only Nigeria (6017), and Ghana (6,000) exceeded Ukraine in the number notifications processed. The next largest number after Ukraine were 5,007 notifications issued to Ethiopia, 5,003 to Bangladesh, and 5,000 to Morocco. Russia, by way of comparison, received 3,579, ranking 9th among winners in participating countries.